Sharing remarks at the Mount Rushmore Amphitheater under the watchful eyes of Presidents Washington, Jefferson, Roosevelt, and Lincoln. 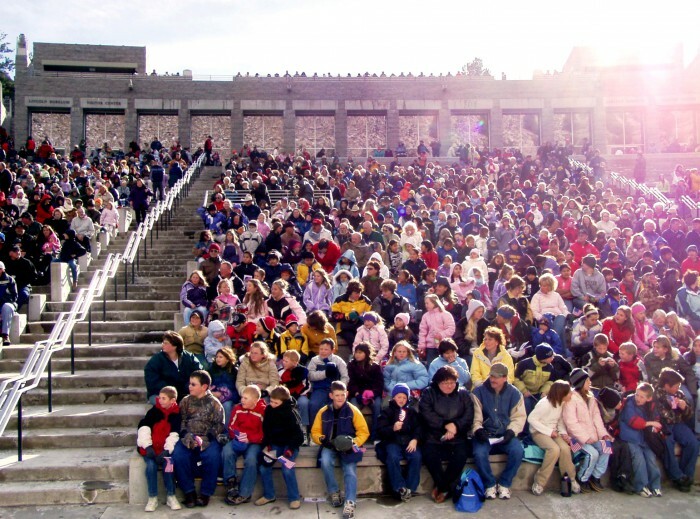 With 3,000 attendees seated, it was full capacity at the Mount Rushmore Amphitheater. There were another 1,000 standing on top of the Amphitheater and waiting in line to buy newly minted South Dakota state quarters. 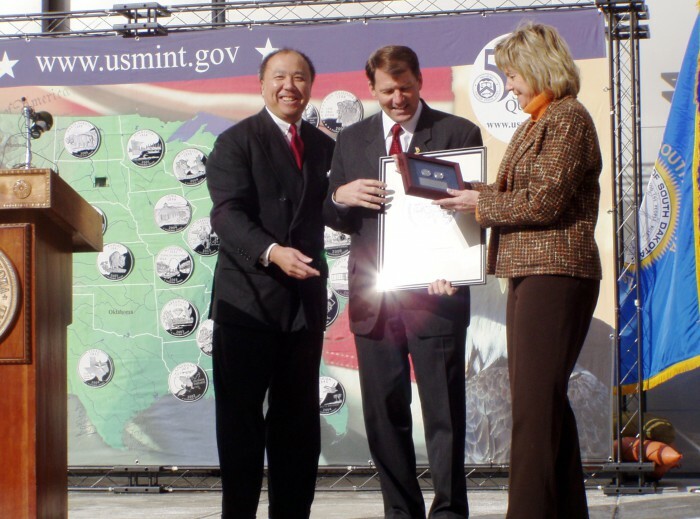 Presenting to South Dakota Governor M. Michael Rounds and First Lady Jean Rounds two South Dakota state quarters from the first day of minting and a copy of the original artwork signed by John Mercanti, who created the final design. 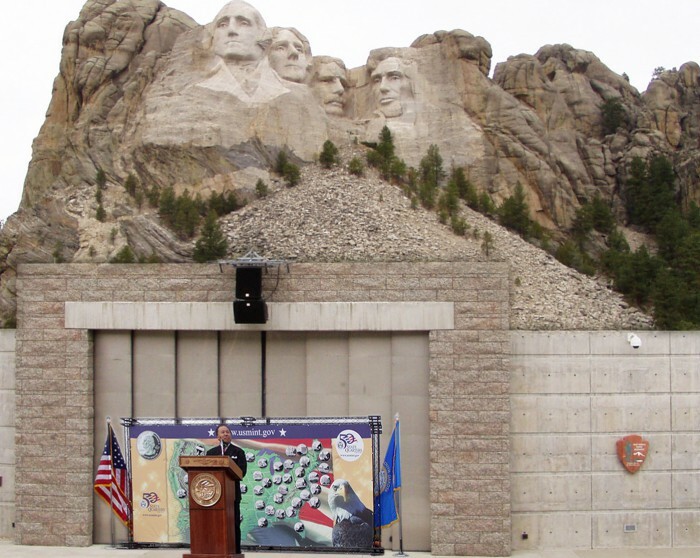 Mount Rushmore National Memorial Superintendent Gerard Baker presents Gov. 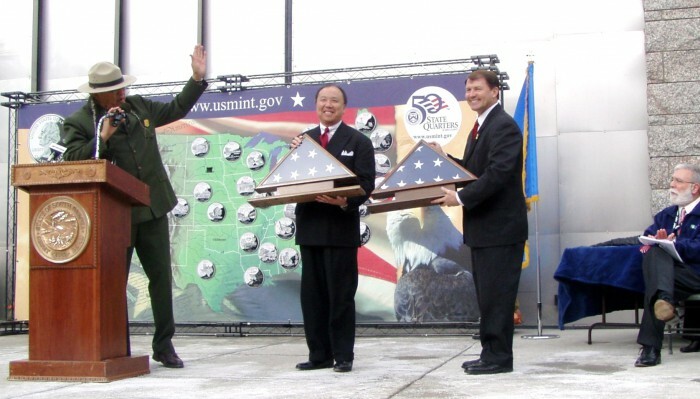 Mike Rounds and myself with American flags flown over Mount Rushmore. Rapid City Mayor and master of ceremonies Jim Shaw looks on.